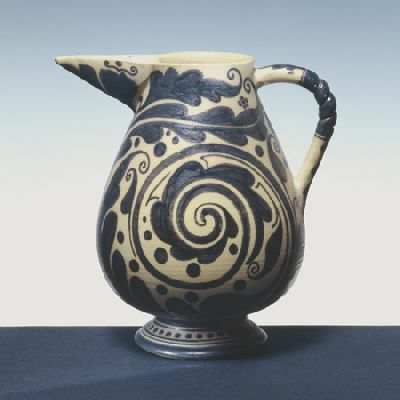 The Manifattura Chini Museum situated in the gorgeous rooms of Villa Pecori Giraldi in Borgo San Lorenzo (FI), was inaugurated in 1999, it is part of the territory’s Museum Network called Museo diffuso. 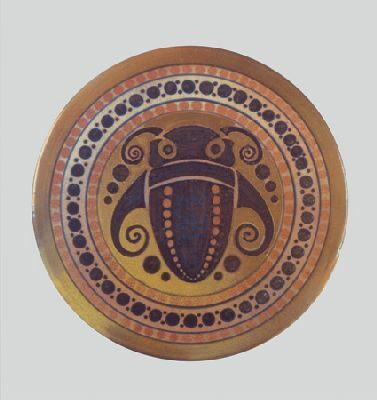 The museum documents the different stages of Chini’s ceramics and glass production, as represented by an interesting and lavish collection of majolica, stoneware, glass and preparatory sketches. 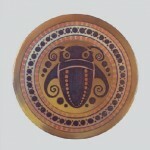 The collection documents the productions of two manufacturers: L’Arte della Ceramica (The art of ceramics, approx. 1896-1904) in the Florentine and Fontebuoni workshops, and the Fornaci San Lorenzo (approx. 1906-1944) in Mugello. In both these periods the success of the factories is mostly due to Galileo Chini (1873-1956) and to Chino Chini (1870-1957), respectively artistic director and technical director. The Coats of arms room, grand entrance hall of the ancient building, holds numerous works attributed to Galileo Chini, commissioned by Guglielmo Pecori Giraldi between 1906 and 1911. Among these, and of particular artistic interest, we find a fresco of San Giorgio che uccide il drago (St. George killing the dragon). Above the lintel of the little door on the left, we find a majolica lunette depicting “Christ with a crown of thorns”, created by Galileo Chini and produced by L’Arte della Ceramica. Off the entrance hall we find a large room which holds an enormous ceramic fireplace created by the Fornaci San Lorenzo. In the next room there is a vast selection of the various architectural materials used and produced from the beginning of the 20th century by, first, the manufacturing company, Arte della Ceramica and, later, Fornaci San Lorenzo and the recreation of a mitten furnace with the description of its operation mode. From the vestibule, climbing up the elegant winding staircase attributed to Galileo Chini, we arrive at the first floor. 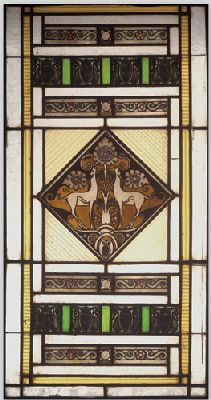 A rich collection of objects, small vases in grès and majolica, stained-glass panels are on display in these rooms. The interior design of the ‘living room’ was created in early 20th century style with furniture in Art Déco style, to display the paintings of the Museum. The itinerary finishes with the Chini Lab, an interactive area created for children and families, which is divided in 7 thematic areas (Art, Light, Music, Science…) where children can built cities, play with the artists of the 20th century, combine shadows and lights with strange materials, but also experiment, read, paint and make some music. The Chini Lab is based on the relation between two fundamental principles: children’s autonomy and the maximum respect for the place where this initiative is inserted. In fact, designed for the Italian children but also the foreign ones, this playground is open, all to be experienced, especially built for children, a peaceful place, open to experimentation with several instruments available, which can easily be interpreted and used. By the way… you cannot wear your shoes inside the rooms, remember to bring a pair of socks! The visit to the museum is even more pleasant thanks to its position in the interior of Villa Pecori Giraldi, ancient building of the 13th century, which was substantially restored in 1902. The large two-storey villa has a beautiful Renaissance style façade surmounted by a robust battlemented tower and it is surrounded by a monumental park. The cafeteria in the Villa is situated on the ground floor, in the old kitchen with tiles of the Fornaci San Lorenzo; the oven, the fireplace and the big sink made of stone are still recognizable. This pair of large flower vases in polychrome majolica are attributed to Galileo Chini and dated to around the early years of the 20th century. 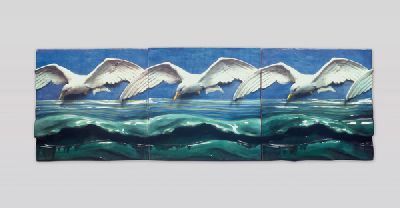 This spectacular panel in polychrome majolica depicts seagulls in flight set in a vaguely marine world. It dates back to ca.1902. A work by Galileo Chini, this cheerful jug was produced by the Fornaci di San Lorenzo between ca.1906 and 1911. 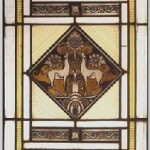 The pair of glass panels from the 1920s is attributed to Tito Chini. 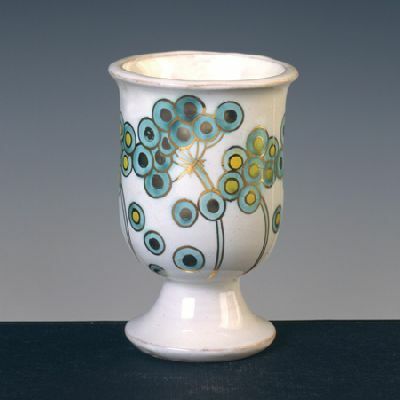 A 1933 work by Tito Chini, this small vase is a polychrome majolica with lustre, belonging to the production of the Fornaci di San Lorenzo factory, founded by Galileo Chini in 1906. 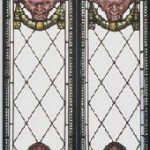 This rare polychrome stained glass window dates back to the 1920s. 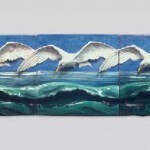 This work in polychrome majolica by Galileo Chini was produced at the Fornaci di San Lorenzo factory, between ca.1906 and 192. 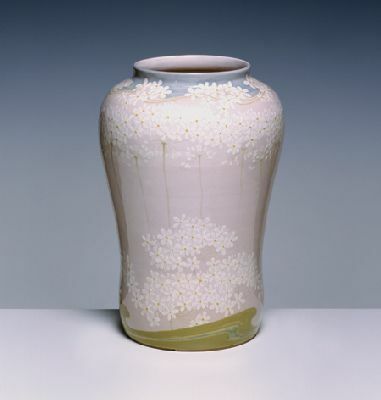 The vase was one of the first works by Galileo Chini, the founder of the Fornaci di San Lorenzo factory. It is in polychrome majolica and dates back to the very early years of the 20th century. From November to March: Saturdays and Sundays 10 a.m.-1 p.m. / 3 p.m.-7 p.m.
From April to October: from Thursday to Sunday 9 a.m.-1 p.m. / 3 p.m.-7 p.m.
Closed: 1 January, Easter Sunday, 1 May, 15 August, 25 and 26 December. Open on Easter Monday.